Louisiana Tech University was one of the top 300 institutions globally and top 27 institutions in the United States named to the Times Higher Education (THE) 2019 University Impact Rankings. In Louisiana, only Louisiana Tech made the international list. 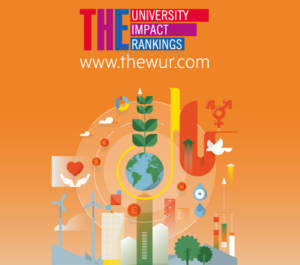 The University Impact Rankings assess universities against the United Nations’ Sustainable Development Goals (SDGs). The ranking uses indicators to provide comparisons across three broad areas – research, outreach, and stewardship – covered in the SDGs. Louisiana Tech performed especially well in the areas of providing access to quality education; working to make the city inclusive, safe, and sustainable; and promoting healthy lives for community members at all ages. In late 2018, Tech was included in THE’s World University Rankings for the first time. This ranking is based on the University’s global reputation and research output.